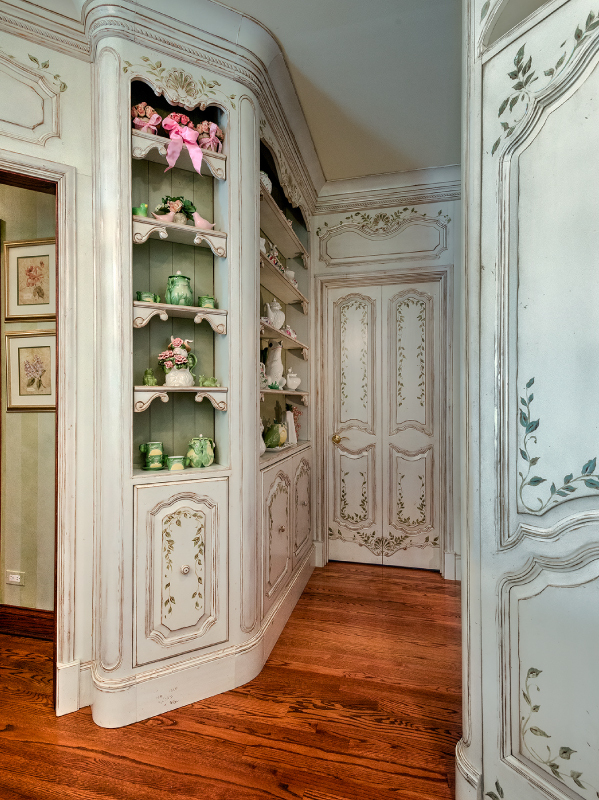 At Langguth Design, we believe in smart, functional solutions for your home’s most utilized spaces. We offer exquisite kitchen and bathroom design that makes your home both beautiful and easy to use. The kitchen is the heart of your home. It is where your family spends most of their time, and for good reason. 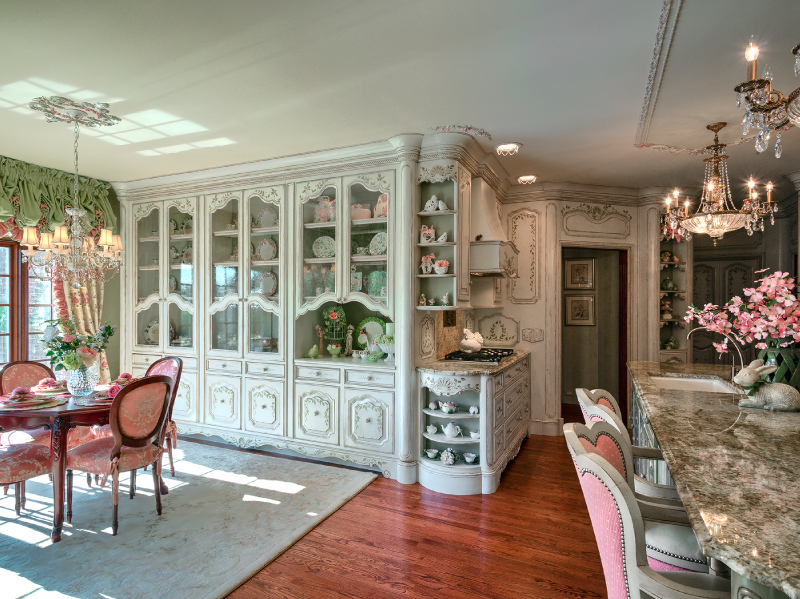 It acts as a gathering space for delicious, home-cooked meals and family conversation. Because it is your family’s go-to spot, your kitchen design must utilize the space in an efficient way. 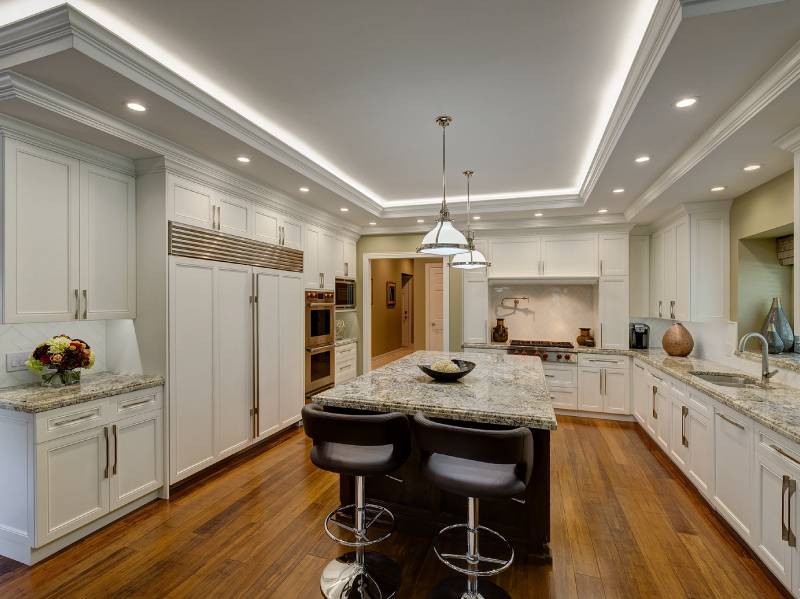 Langguth Design specializes in designing and planning kitchens to meet the highest standards of functionality and beauty. Your bathroom should feel like a retreat. 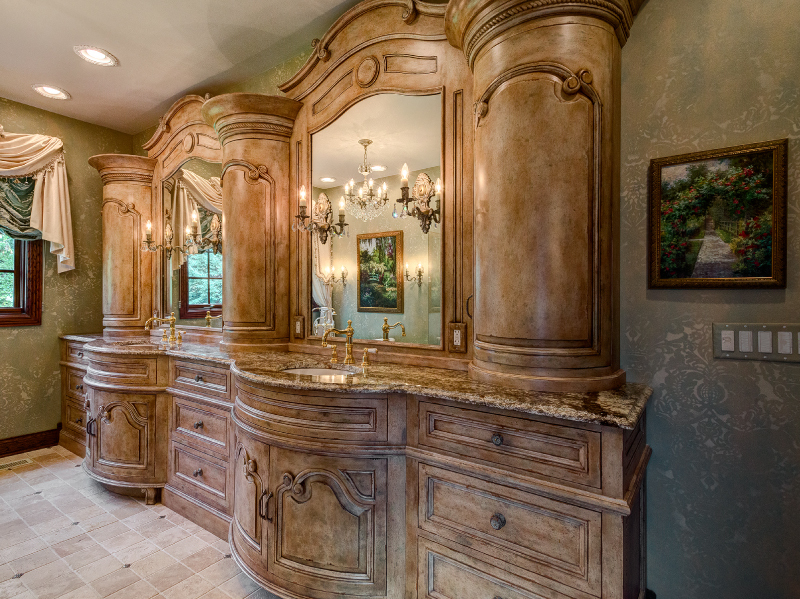 Think of your bathroom as your in-home spa, a place where you can feel your most calm. Our team of experts can help you achieve exactly that. We believe in a beautiful and efficient bathroom where everything has its place. 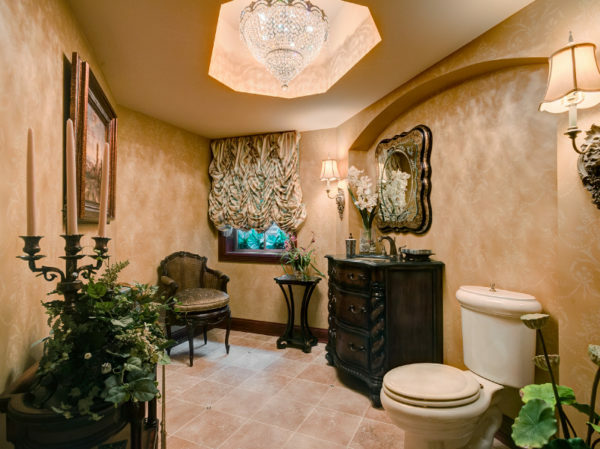 From powder rooms to lavish master baths, we are focused on bring your vision to life. 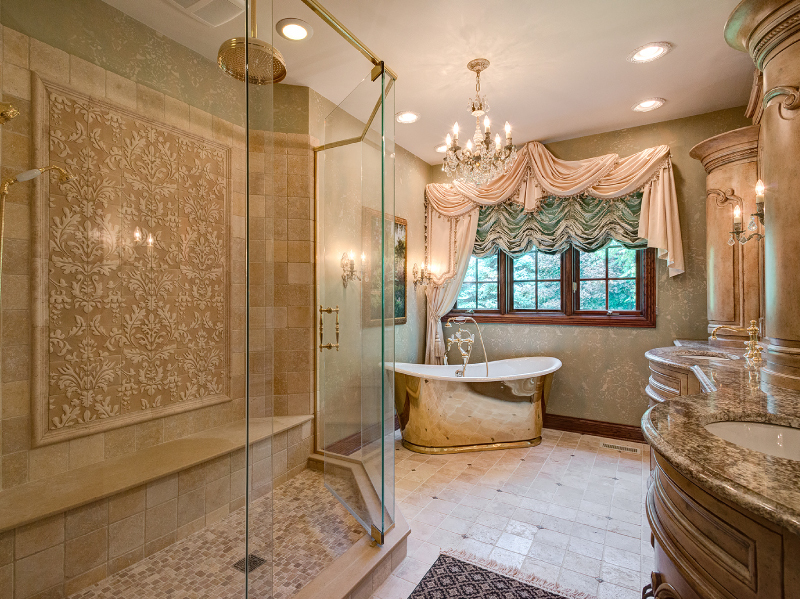 This updated bath in St. Charles features mosaic tile inset in the shower as well as around the mirrors above the sinks. A free-standing tub replaced an old Jacuzzi. The refurbished shower stall features completely clear glass so it does not have that green cast which would have distorted the color of the shower tile. The center portion was sandblasted for a privacy panel. The custom-made cabinetry is from Yoeckel Woodworking. Additionally, the floor was laid on an angle to enhance and expand the space visually.